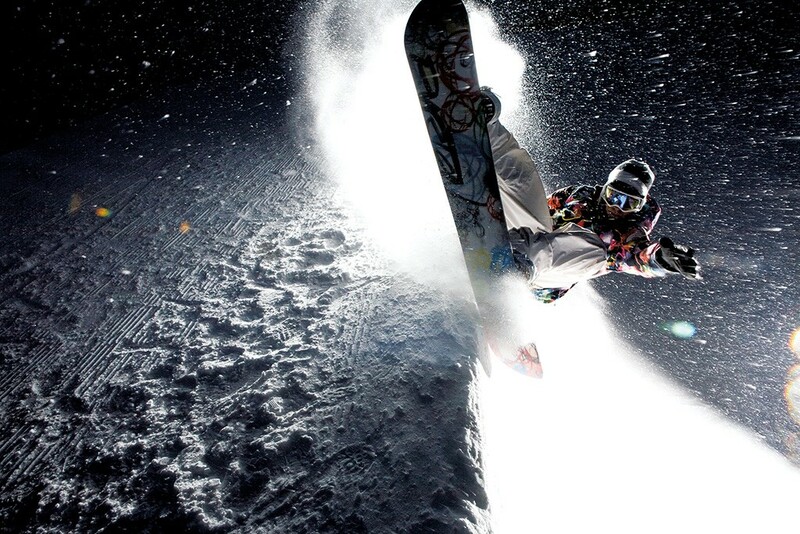 Throughout his professional snowboarding career, Kevin Pearce "chased the powder" around the world, showing off gravity-defying maneuvers that carried him to the pinnacle of his sport. Today he's chasing mental stillness and inner balance through yoga and meditation. And he's dedicated his life to helping others do the same. Pearce's life changed abruptly on December 31, 2009, just weeks before the 2010 Winter Olympic Games in Vancouver. The extreme athlete and Vermont native was in Park City, Utah, training on a 22-foot half-pipe ahead of the games, where he was expected to be a contender for the gold. As he finished a cab double cork — an incredibly difficult maneuver involving a twisting double backflip — Pearce missed the landing and face-planted on the icy half-pipe wall. He was instantly knocked unconscious. Pearce, then 22, was airlifted to Salt Lake City's University of Utah Hospital, where he spent nearly a week in a coma and 26 days in the intensive care unit. 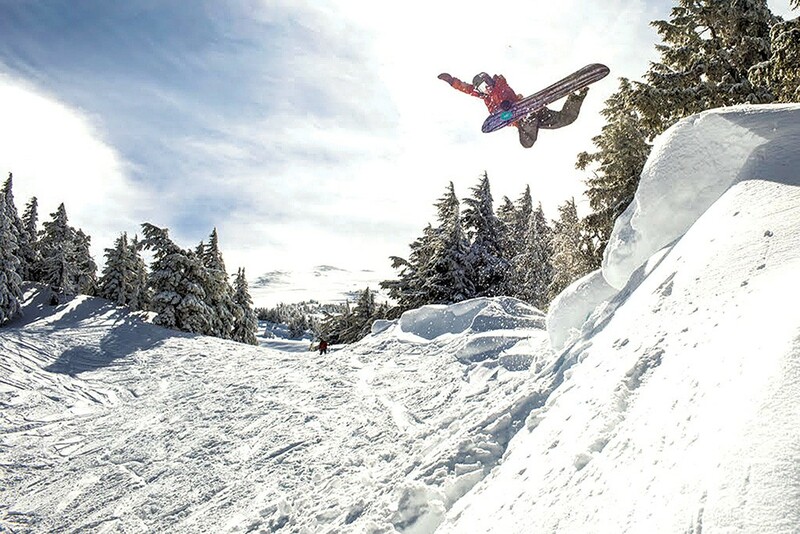 Nearly four months later, he walked out of an Englewood, Colo., rehab hospital confident that he'd make a full recovery and eventually return to competitive snowboarding. But "recovery" is not a word that medical professionals typically use these days when discussing traumatic brain injuries like Pearce's. As is evident from The Crash Reel, the award-winning 2013 HBO documentary that chronicles Pearce's accident and its aftermath, his release from the hospital was only the beginning of a long and difficult journey. It continues to this day. Seven years after that near-fatal fall, Pearce is mastering a whole new set of moves. Instead of performing chicken-wing McTwists, front-side 1080s and other big-air acrobatics, Pearce is now grounded, perfecting his downward dog, tree pose and lotus position. The lifelong adrenaline junkie, who once described himself as the most competitive person he knew, has embraced the least competitive of physical activities. Through yoga and meditation, he's helping himself and others adjust to the "new normal" of life after a traumatic brain injury. Pearce, 29, has immersed himself in the LoveYourBrain Foundation, an educational nonprofit that he and his brother Adam founded in 2014 to improve the lives of people who live with a TBI. In Vermont alone, they number more than 9,000. Central to the organization's mission of "connect, educate and empower" is spreading the message about the healing powers of yoga, meditation and diet. "After a brain injury, I believe there's nothing more important than being able to be still," Pearce explained. "And not just to be still in your body, but to be still in your mind and to be still in your thoughts." The foundation is based in Vermont's Upper Valley, where much of Pearce's family still lives. He recently bought a home in Burlington, with stunning views of Lake Champlain and the Adirondack Mountains. During an interview with Seven Days last week at his new digs, Pearce seemed upbeat, centered, focused and more optimistic than ever about where his life is headed. He's fit, eats well, and has eliminated sugar and alcohol from his diet. Physically, Pearce does not look much different than he did before his accident. He's older but still sports a big, playful grin and a youthful mop of wavy brown hair. The only outward sign of his brain injury is the pair of thick-lensed prescription eyeglasses he now wears. Pearce's severe TBI left him with persistent double vision, as well as memory loss, seizures in his arm (which he said have subsided owing to medication), and other physical and psychological impairments. After years of fighting to get by, Pearce insists he's finally landed in a good head space — a sentiment that his longtime friend Jack Mitrani happily confirmed. "If you'd asked me a couple of years ago, I would have had a completely different answer, but it's unbelievable how far he's come," said Mitrani, a former pro snowboarder himself. "The old Kevin is back. It's incredible. I never thought I'd say that. If you didn't know him before, you'd think that he's a superhuman because he's so dedicated and motivated." The naturally gifted Kevin, the youngest of four boys, was afforded from an early age the time and resources to perfect his snowboarding. By age 15, Pearce had moved to California, where he lived with his 18-year-old brother Adam and trained full time at Mammoth Mountain. By 19, he'd won three medals at the 2008 Winter X Games in Aspen, Colo., as well as numerous world titles. Heading into the 2010 Winter Olympics, Pearce was considered the likeliest competitor to beat defending gold medalist Shaun White. The two had once shared a house — and later had a public falling-out as their celebrity and competitive natures came to a head. Then came the fall Pearce calls "the big one." Surprisingly, watching video footage of the crash does not seem to upset him. Maybe it's because he's seen it so many times. Maybe it's because big wipeouts were the norm for pros when Pearce was on the circuit — nearly everyone had a gnarly story of a hard fall. Or maybe it's because Pearce thinks a different devastating injury, which doesn't appear in The Crash Reel, is the one that changed everything. Days before he fell into a coma, Pearce was competing in the U.S. Snowboarding Grand Prix when he attempted a cab 1080, or three switch-frontside spins. As he attempted to land the maneuver, Pearce slammed his forehead on the lip of the halfpipe, snapping his head backward and knocking off his helmet. "Oh, man!" a TV announcer remarks casually in a video. 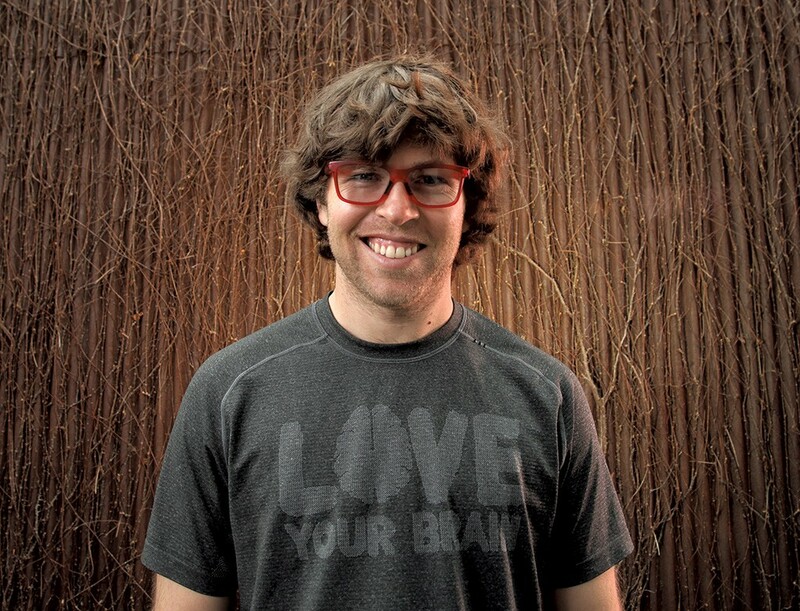 "Tough break there for Kevin Pearce." Pearce rises slowly from the snow. He raises one arm, flashes the all-clear sign of "rock on" horns, then gathers his gear and rides unassisted down the mountain. "Bad, bad concussion," he said, showing a reporter the video clip. "I was super out of it there." During a second qualifying run just 20 minutes later, Pearce stuck all his landings, but his less-than-stellar performance knocked him out of contention. "I was so dizzy, so out of it, so lost, so nauseous," he said. Pearce, who'd suffered half a dozen concussions before "the big one," said he immediately recognized the symptoms. But it was only months later, when doctors showed him scans of his brain, that he realized the devastating impact his Grand Prix accident had had in rendering his brain more susceptible to the next one. If you've seen one TBI, brain experts often say, you've seen just one TBI; each is unique. But a common denominator, Pearce noted, is the invisible nature of a brain injury, which can be one of its most frustrating features. Externally, people with a TBI may look fine, even when they're struggling mentally. "It's hard to talk about ... because it's almost like I'm whining," Pearce acknowledged. "I have such an awesome life. I have everything. And yet, I'm not the same person. I don't feel the same, and sometimes I don't act the same." After leaving the hospital in May 2010, Pearce briefly returned home to Hartland but clashed with his tight-knit family as he wrestled with his greatly diminished abilities. In one particularly poignant scene in The Crash Reel, he argues with family members during dinner about his desire to get back on a snowboard. "I feel there's no trust in this family of what you guys think I can do," he tells them. "You look at it as trust. We look at it as risk. They're very, very different," his father replies. "If you do injure yourself, is it fair to your mother and the family to be put in the position of taking care of you for the rest of your life?" As Kevin's older brother David, who has Down syndrome, puts it at one point, "I just don't want you to die. And I don't want you to take that risk." Not long afterward, Pearce left Vermont and family and moved back to southern California, where he'd bought a home before the crash. His brain had been so badly damaged that Pearce had forgotten he owned the house. The Crash Reel captures the moment when he returns and sees his belongings as if for the first time. He needed a roommate because, by his own admission, he could not live on his own. For years, Pearce was depressed, irritable and frustrated by his inability to perform many of the physical activities, especially snowboarding, that the natural athlete had once done effortlessly. The Pearce who appears at the end of The Crash Reel is just beginning to accept that he'll never again be the person he was before the accident. "It's a whole new life for me," Pearce tells attendees of a TBI conference in the film. "I used to be waking up every morning in a new country, going to a big snowboard contest — and now, it's waking up every morning and just being so happy to be here." According to Pearce, a physician in southern California inspired his sunny new outlook on life. "You really need to love your brain," the doctor told him. The doc broke it down for Pearce. If he ever wanted to move beyond his head injury, he needed to reexamine his approach to healing. Instead of focusing on medications and brain scans, Pearce needed to engage in activities and lifestyle choices that would enable his brain to build new pathways around its deficits — what neuroscientists refer to as "neuroplasticity." One day, while Pearce was still living in California, a friend took him to a yoga class. He'd done yoga before, but this time, he said, "Something just clicked." "You get judged a lot in life. You don't get judged in yoga," said Pearce, who once made a living being judged on his physical prowess. "There's no one telling you that you're messing up." In 2014, Pearce and his brother Adam decided to start an organization dedicated to helping others who have brain trauma. Pearce used his celebrity and experience to become the face of the organization, while Adam worked behind the scenes. Their mother, Pia, took a position on the board of directors, as did June Heston, a former president and CEO of the Make-A-Wish Foundation of Vermont. LoveYourBrain raised more than $400,000 in 2015, according to its filings for the Internal Revenue Service. Among the big-dollar donors is Burton Snowboards founder Jake Burton Carpenter, whose company also sponsored Pearce when he competed. Central to the nonprofit's mission are yoga and meditation. Pearce had told Adam about his newfound appreciation for the practice and the peacefulness it brought to his traumatized brain. Fortuitously, Adam's wife, Kyla Donnelly Pearce, was in India at the time getting certification as a yoga instructor. Adam quickly realized that the foundation could use the practice of yoga and meditation as a healing method for other TBI sufferers and recruited Donnelly Pearce to serve as senior director of the LoveYourBrain yoga program. Though she had no prior training in TBI work, she tapped some of the country's top researchers to help her develop a curriculum. "I actually had never even heard of a traumatic brain injury before Kevin's injury," Donnelly Pearce said, "so it was a big crash course in what the experience can look like." Development of the yoga program began in late 2014 and took about a year to implement. Each component of the six-week series is specifically designed to address common symptoms of TBI, beginning with the yoga studio environment, which is modified to minimize noise and lighting. Class begins with 10 minutes of focused breathing, followed by 45 minutes of asana, or the physical movements of yoga. Each posture, Donnelly Pearce explained, was chosen to address or compensate for common TBI symptoms. For example, inversions — poses where the head is below the heart — are structured so they're less likely to trigger headaches or rapid drops in blood pressure. During those movements, Donnelly Pearce added, the instructor makes modifications for people managing memory loss, another area typically compromised by a TBI. "We also slow it down considerably to prevent cognitive processing overload," she said. Next come 15 minutes of guided meditation, then 20 minutes of facilitated discussion. Last Friday, about 10 TBI survivors met at Laughing River Yoga in Burlington, a studio filled with natural light near the Winooski River. Instructor Teresa Wynne led the group through movements, while Steve Kuhn, LoveYourBrain's "community connector" and a multiple TBI survivor himself, assisted the students as they learned new poses. For some, it's the latest attempt to get their lives back on track after years of frustration. "I'm hoping this is what I'm looking for," said Mindy Bennett, a first-time practitioner who has weakness on the left side of her body from a traumatic brain injury and a stroke she suffered after a car crash in 1997. "I don't know what to expect from it in everyday life, but it's a start." Early research on this TBI-focused yoga looks promising. In January, the medical journal Brain Injury published the findings of a study on the LoveYourBrain pilot project. In that study, researchers at Dartmouth College found measurable quality-of-life benefits in 31 participants with TBI. Specifically, Donnelly Pearce noted, participants experienced significant improvements in their ability to manage negative emotions and improved satisfaction when they considered their own TBI and their future prospects. 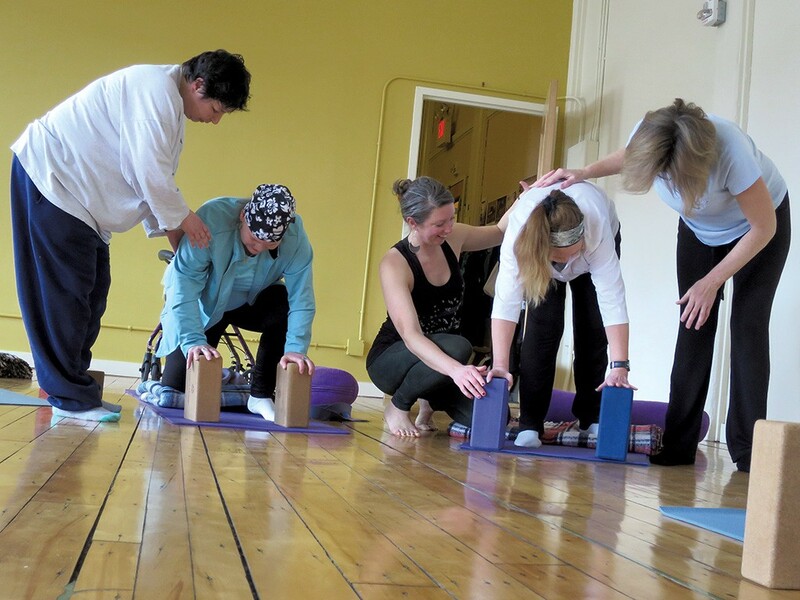 In short, she concluded, LoveYourBrain yoga is "helping them reframe the experience of their TBI so that they don't see it in a depressed light, but more as an opportunity to change the way their brain functions." Since its inception, LoveYourBrain has trained nearly 300 yoga instructors around the country, including several in Vermont. They include Jessica Miller, a yoga instructor at Sangha Studio in Burlington. She attended one of LoveYourBrain's first training sessions in 2015 and has offered the series several times. Miller said she's noticed her brain-injured students enjoying the physical improvements one would expect in any committed yoga practitioner, such as improved balance and increased flexibility. Beyond that, however, she has also observed a greater acceptance of their disabilities — and of their potential to overcome them. "None of us are who we were last year or the year before," Miller pointed out. "These guys really aren't, and they're faced with that in a clear and dramatic way. To see them move through that and become accepting of who they are is a really lovely thing." As part of the yoga program, LoveYourBrain teamed up with Zeno Mountain Farm, a Lincoln-based nonprofit that hosts 12 camps and retreats each year for people with various disabilities and chronic illnesses, and for veterans with post-traumatic stress disorder. Adam Pearce and Zeno cofounder Will Halby met in 2014 and created an annual LoveYourBrain retreat, which has since brought more than 100 people with TBI to the farm each May. The weeklong retreat concludes with attendees running in the Vermont City Marathon in Burlington. "The main push is to give people an opportunity to develop a shared history and lifelong friendships, but also develop some tools around having healthy brains to support people along their lifelong recovery," Halby said. 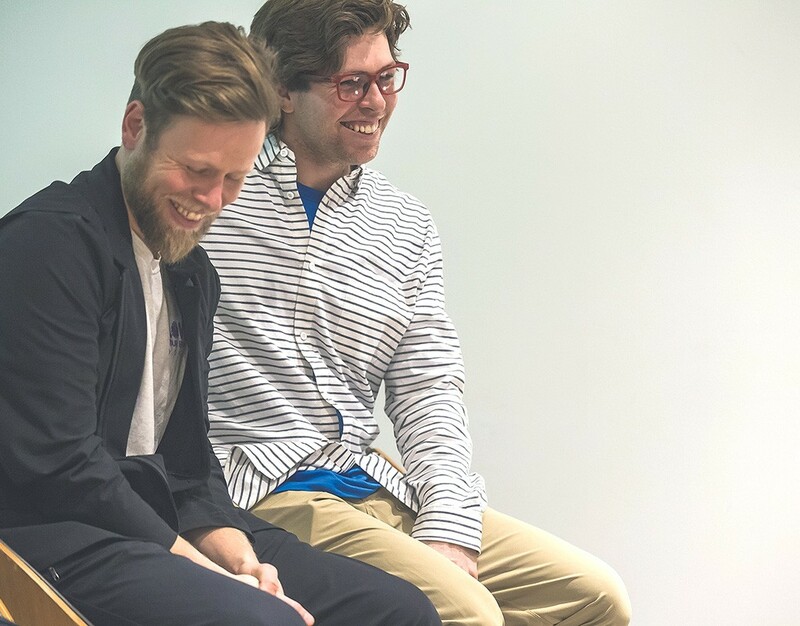 In the same vein, Kevin and Adam Pearce recently started visiting prisons in New York's North Country, where they've held screenings of The Crash Reel. As Adam pointed out, the nationwide prevalence of TBI among prison inmates is "staggering" — as high as 87 percent, according to data from the U.S. Centers for Disease Control and Prevention. Few of those inmates are likely to have received much medical care for their brain injuries, noted Kevin Pearce, who sees such untreated conditions as a possible explanation for their struggles with anger management, impulse control, substance abuse, mental illness and other issues. "Recovering from a brain injury is expensive," said Pearce. His own monthlong intensive-care stay in a Salt Lake City hospital cost about $25,000 a day. Fortunately for Pearce, his parents had insisted he carry health insurance. "Most [pro] snowboarders don't," he noted. Kevin and Adam Pearce continue to look for new outlets for their message. Kevin is now on the road more often than he's home in Vermont, speaking publicly and visiting schools to urge young people to respect their brains and wear helmets when they ski and ride. "I've really found a lot of joy speaking at public schools," Pearce said. "When the parents tell the kids to put a helmet on when they go snowboarding, the kids are like, 'Screw that, Mom!' But when they hear it from me, they're much more open and accepting of it." Last month, Pearce finally reached Vancouver, albeit not as an Olympian. 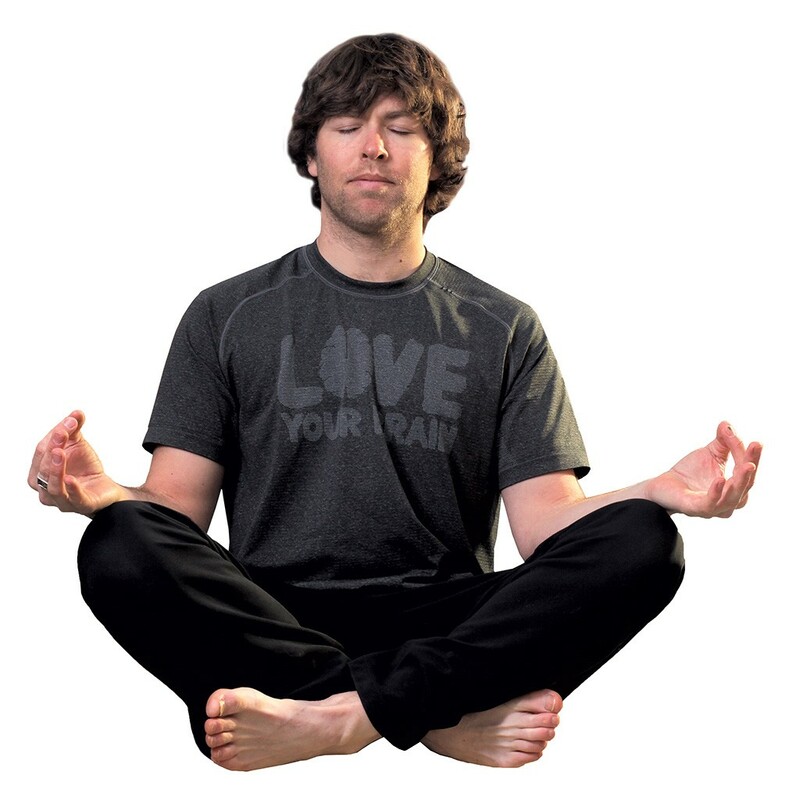 A stop in the city ended his monthlong tour up the West Coast in the company of lululemon, the yoga-wear company that's now a leading LoveYourBrain sponsor. Pearce and his crew drove a 1952 Airstream — which lululemon had converted into a mobile meditation studio — from Los Angeles to British Columbia. They visited hospitals, met with people with brain injuries, and shared Pearce's method of yoga and meditation. "That was super cool, to be able to do that," he said. Earlier this year, when Pearce returned to Vermont after a decade spent on the West Coast, he chose to settle in Burlington for both practical and personal reasons, he said. Two longtime friends, pro snowboarding veterans Mitrani and Danny Davis, both have places in the Burlington area. After years of living in perpetually sunny San Diego, Calif., Pearce missed Vermont's four seasons, he said. And, most importantly, the Queen City is close to family members in the Upper Valley. "Coming home to Vermont just feels so right," he said. In his new life, Pearce still finds time to ride a snowboard, something he said his parents are now OK with, as long as he takes it easy and makes smart decisions. "I definitely haven't found something that gives me that same feeling that snowboarding did, but I guess I don't need it," Pearce said. "It's strange not having a competition to be going after. But I think yoga fulfills me. Now I feel like I'm living a super-happy life, and I'm still able to find joy."